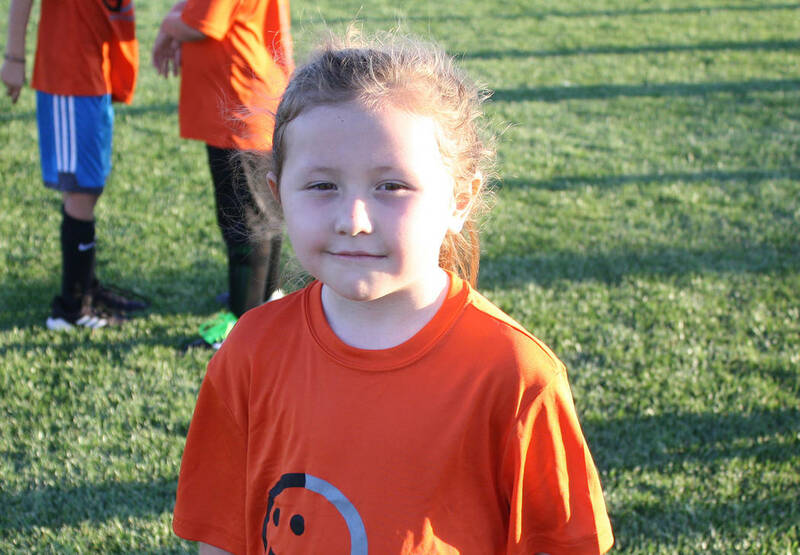 Kelly Lehr River Hess plays for the Lions in Boulder City Parks and Recreation Department's first- and second-grade youth soccer league. Boulder City Parks and Recreation Department’s youth soccer program is in full swing, with games being played Monday through Thursday at Pratte Field in Veterans Memorial Park. The league is sponsored by Gibson Orthodontics this fall. Kindergarten and third- through fifth-graders play Monday and Wednesday through Wednesday, Oct. 17, and first- and second-graders and sixth- through eighth-graders play Tuesday and Thursday evenings through Tuesday, Oct. 16. Coed flag football will begin at the end of the month for third- through eighth-graders, with games being played at Pratte Field on Mondays and Wednesdays through early December. The Boulder City Parks and Recreation Department will host its annual Turkey Shoot for those in first grade and older from 2 to 4 p.m. Nov. 13 and 14 at the ABC Park gymnasium, 801 Adams Blvd. Albertsons is sponsoring the event again this year by supplying gift cards to the winners in the six age divisions, according to sports coordinator Kelly Lehr. The women’s Monday night volleyball league will begin its end-of-the season double-elimination tournament at 6:30 p.m. Monday, Oct. 15, in the new gym at the Recreation Center, 900 Arizona St.
Amazons lead the league with a 6-1 record, followed by Boulder Dam Credit Union (4-2), Free Agents (3-4), I’d Tip That (3-3) and Net Worth (0-6). The coed softball league plays Sunday evenings through the month of November at Hemenway Valley Park, 401 Ville Drive, and is finishing its second round of league games. Boulder Dam Credit Union leads the league (8-0), followed by T.Q. Pallets and Lakefront Pools and Spas (3-5) and Boulder Dam Brew Pub (2-6). The department’s adult softball program will honor Dan McMahon, the late softball player, official and friend of the sport, between the 7 and 8 p.m. games Thursday, Oct. 18. Hemenway Field No. 1 will be dedicated in his honor in a collaborative effort by Boulder City and Boulder City High School. Sports coordinator Kelly Lehr said everyone is welcome. Hemenway Valley Park is at 401 Ville Drive.